The inspirational keyword for me is “Ocean”. This word came to me as it is the place that I currently want to be at. While researching things that are related to Ocean, I came across Vincent Callebaut’s plan for oceanscrapers, a futuristic ocean building made from 3D-printed plastic waste. The photo on Google appeared to be extremely distinctive and cool and therefore I came across this futuristic plan. 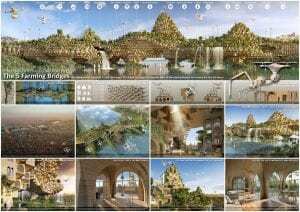 Belgian-born, Paris-based lead archibiotect Vincent Callebaut designs and builds with the future in mind. 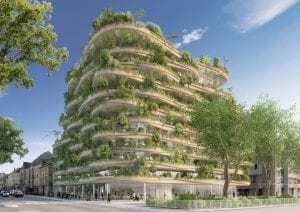 Biomimetic and plus-energy buildings that produce their own power, vertical forests, pollution-removing towers and boats, floating cities and oceanscrapers, vertical food farms Discover on his website projects that meet the major urban and ecological challenges of the 21st century. 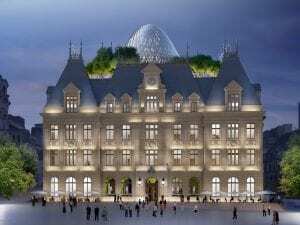 Constantly challenging conventional ideas and pushing architectural boundaries, multiple award-winning archibiotect, Vincent Callebaut has single-handedly spearheaded green and sustainable design, taking it to the next level. He is known for his eco-visions that surpasses the human imagination and designs that champions sustainability, his cutting-edge ideas give hope for a better future. Armed with multiple successes and the determination to make a difference, he gathered a team of junior and senior experts that consisted of scientists, engineers, and architects to help him on his mission to solve as many environmental and overpopulation problems as possible. Each of his green projects showcases its green credentials in combining bioclimatic rules such as solar cycle and prevailing wind directions on the one hand, with renewable energy technologies in the form of wind turbines, thermal and photovoltaic solar energy, rainwater recycling, geothermal energy, biomass, upcycling of biomaterial on the other hand.